Once upon no time there was a Little Soul . . .
And this Little Soul wanted to understand forgiveness. Except the Little Soul didn�t just want to understand forgiveness�the Little Soul wanted to experience forgiveness and know what it felt like to forgive another. So God helped in the best of all possible ways: by putting the Little Soul in the body of Meghan, a newborn baby just beginning to explore all the magic the world had to offer. But God never sends any Little Soul to Earth all alone. God sent along Melvin, a guardian angel, and a promise that God would always be there�even if the Little Soul forgot from time to time. Experience the world through the eyes of the Little Soul in her first few moments on Earth as Meghan meets her mommy and daddy, learns about love, and begins to figure out what it means�and how it feels�to be human. 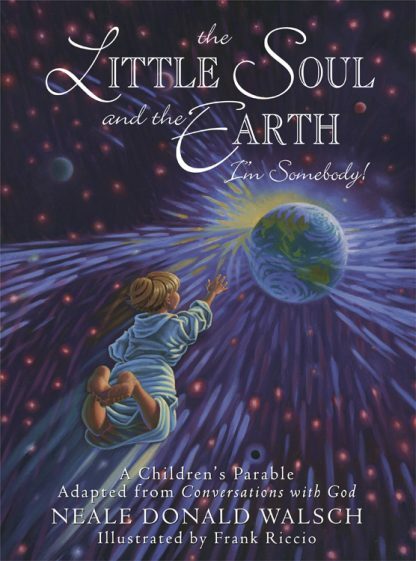 The Little Soul and the Earth is a delightful, vividly told and illustrated tale from the team that created The Little Soul and the Sun. The first of a new series of Little Soul adventures, it exemplifies the vital truth that God is with us always, no matter where our own adventures lead and no matter how many times we may forget that truth. Gently reminding us that beauty and love are all around, the world of the joyous Little Soul is a place your child will want to visit again and again.